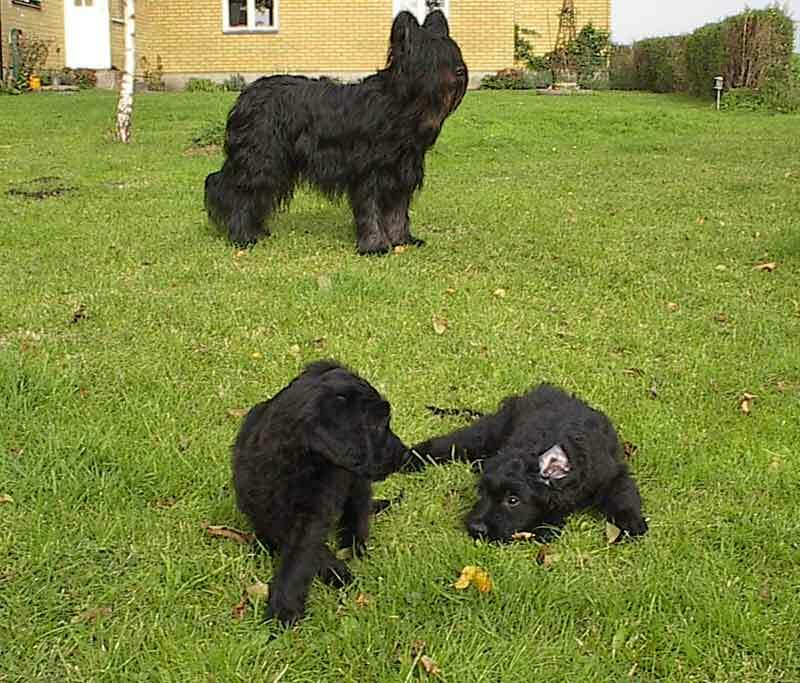 With all that hair flopping into their face, it's a wonder the Briard can see anything! However, these intelligent dogs have long been an excellent option for farmers in need of a strong herding dog. 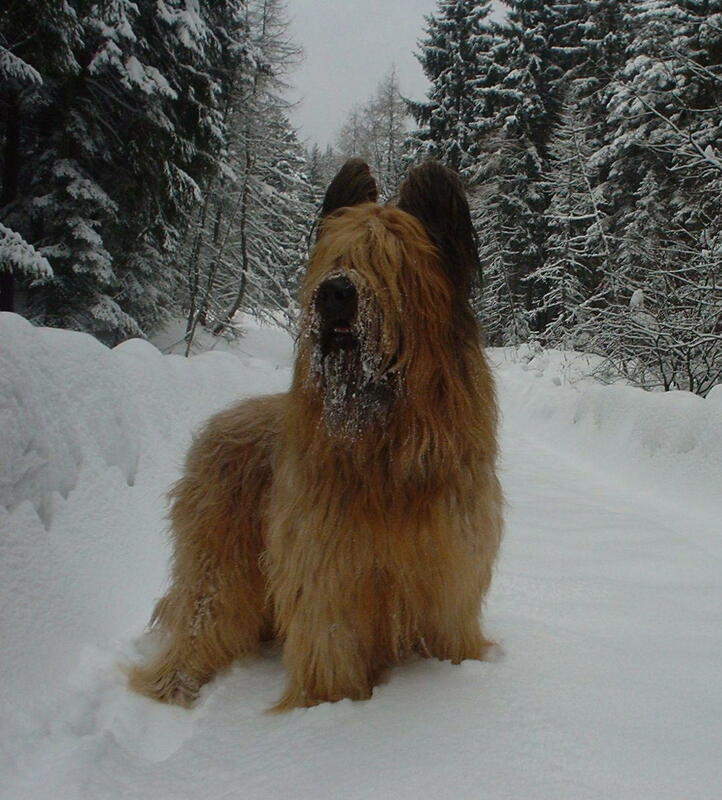 The Briard is a powerful dog equipped with a strong, gently sloping back and muscular chest. 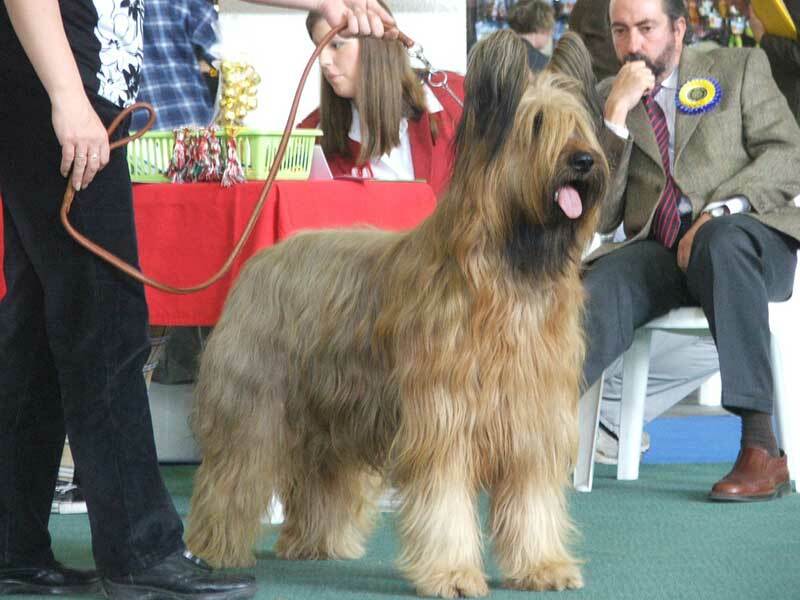 The Briard dog’s most striking feature is, hands down, their long, thick, double coat that covers their entire body. Both a beard and mustache hangs off their rectangular muzzle, and hair frequently grows down between their thick, upright, sometimes cropped, leathery ears. Their large, far-set eyes are either brown or black, and their coat can come in just about every color, except white. 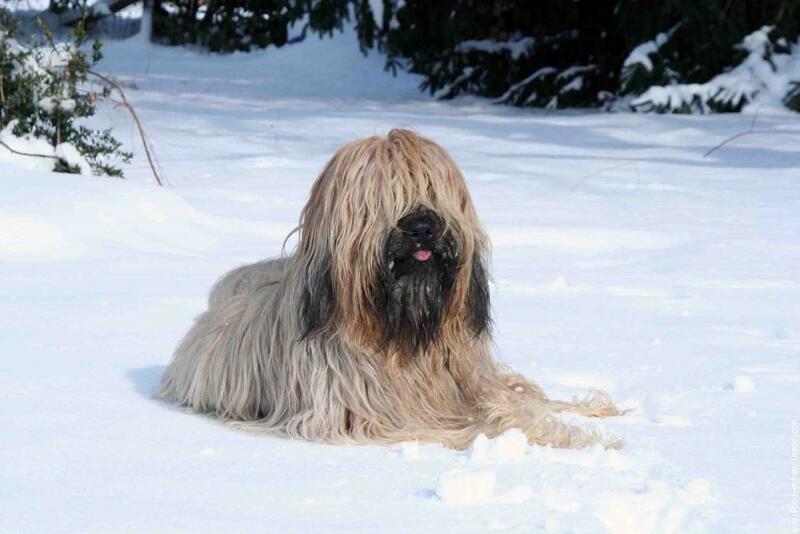 Briards naturally have a few other interesting features. 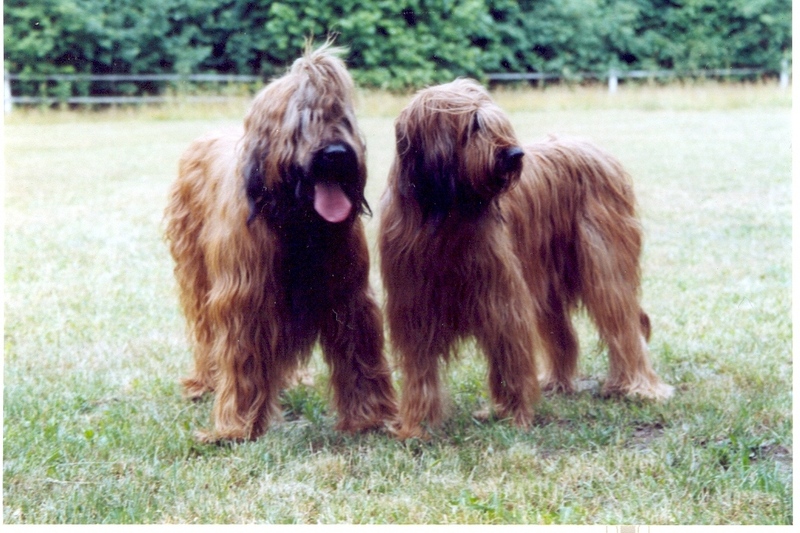 As Briards mature, their tail will naturally form a J-shaped curl. They also have double rear dewclaws, which may have aided them in their ancestral herding responsibilities. 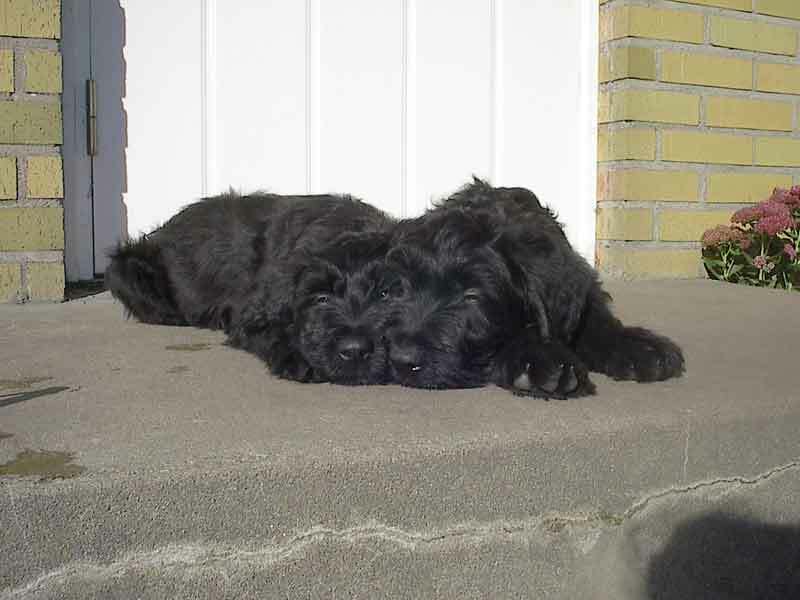 Height (Male) 23 - 27"
Socializing Briard puppies from an early age is extremely important to help mitigate any bad behavior toward new people or animals, but the Briard will probably always be a bit standoffish around strangers. 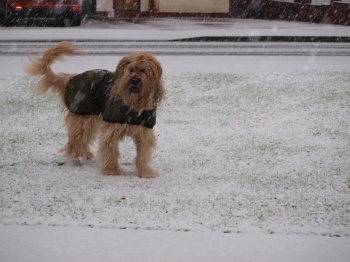 Your Briard just wants to make sure their human is safe! 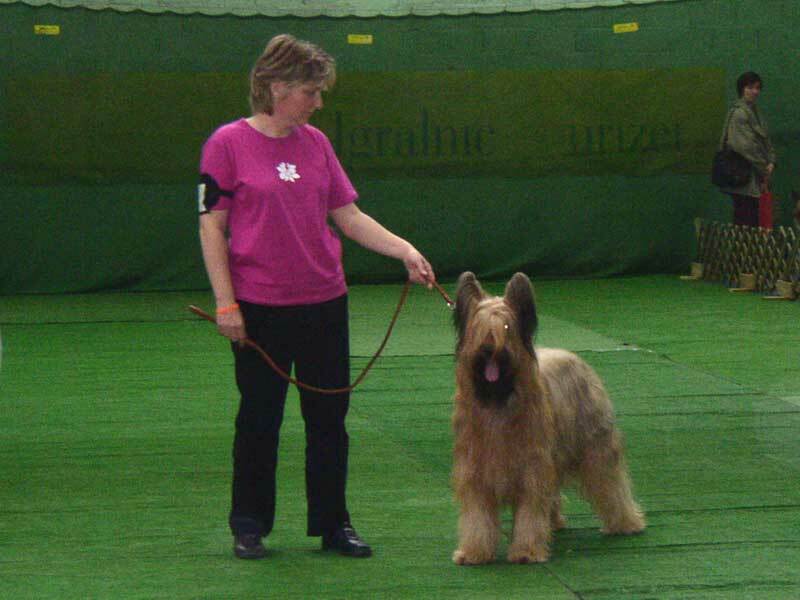 Training Briard dogs can be both a hassle and pleasure. While they are intelligent and pick tricks up quickly, they have a very independent nature and can be a bit bull-headed. 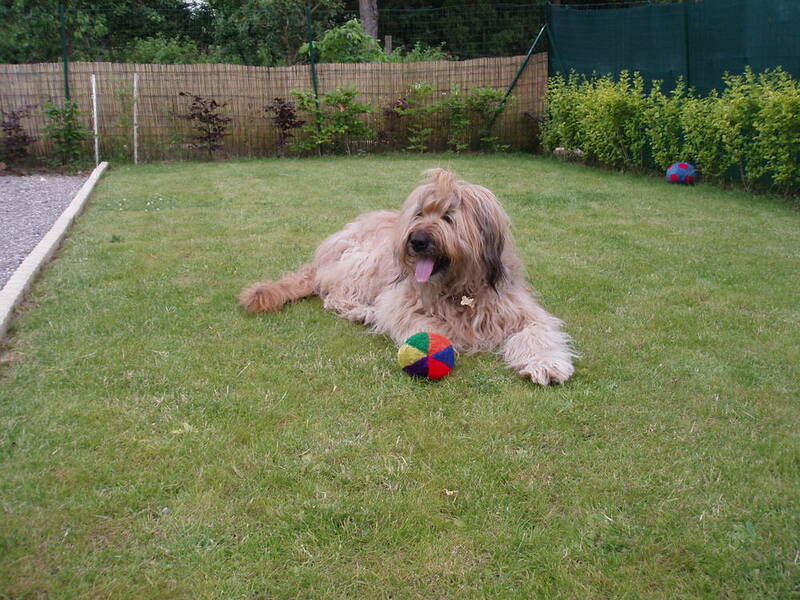 Their excellent memory may also make it difficult to retrain them as an adult keep this in mind if you adopt a Briard who may need some behavioral guidance. As long as these dogs interact with others and get plenty of exercise, they'll be happy in either the country or the city! Regular brushing with a coarse-bristled brush or strong comb will help prevent mats and messy tangles, and it may be necessary to clip the hair between their toes. Their ears should also be checked regularly to ensure there are no mites or dirt trapped inside. On the bright side, their coat naturally repels dirt, meaning bathing is only necessary if your Briard dog is very dirty. 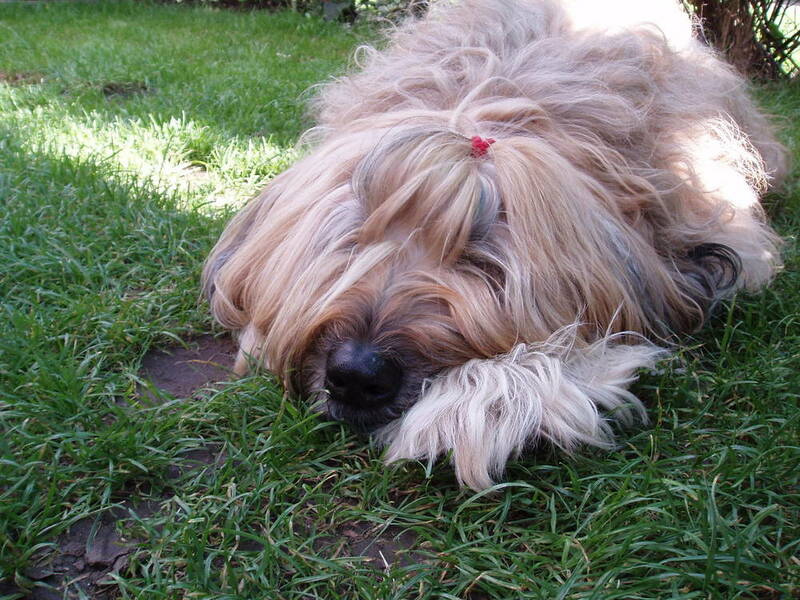 Also, if the dog is properly groomed, the Briard hardly sheds at all! 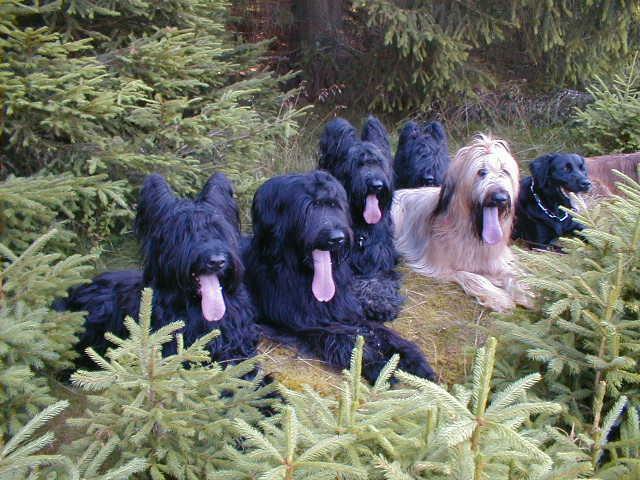 Briards are prone to bloat, but the risk of a dog bloating can be mitigated by feeding them several small meals a day, as opposed to a few large meals. Other documented health problems with this breed include canine hip dysplasia, progressive retinal atrophy, and heart problems. When the breed was first developed, their primary job was to keep their owners safe from animals and other people. 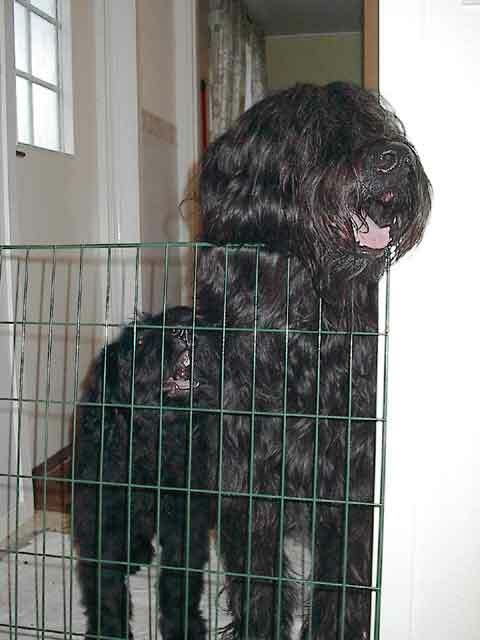 This duty expanded after the French Revolution, and the Briard was used as a herding dog and as a watchdog, tasked with keeping watch over an entire property. 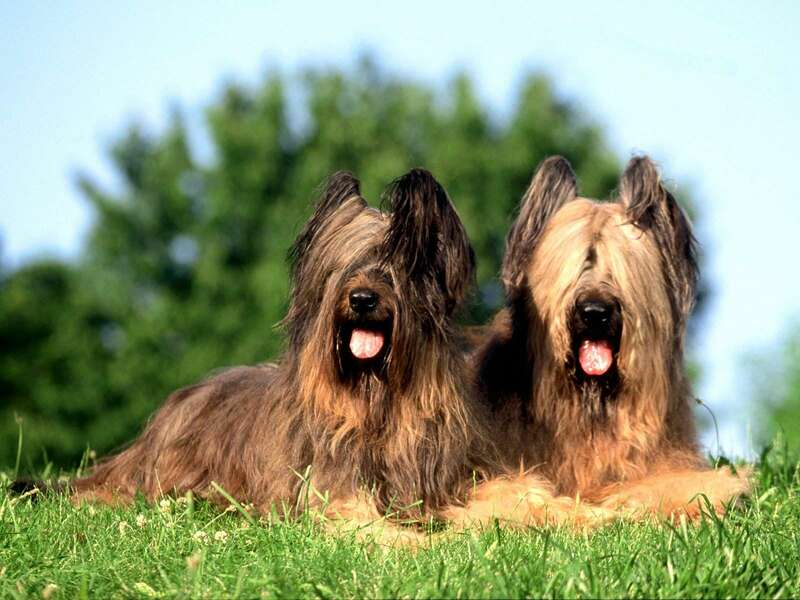 The very first breed standard for the Briard was drawn up in 1897 by fans of the sheepdog, and in 1909, the French association Les Amis du Briard was formed. 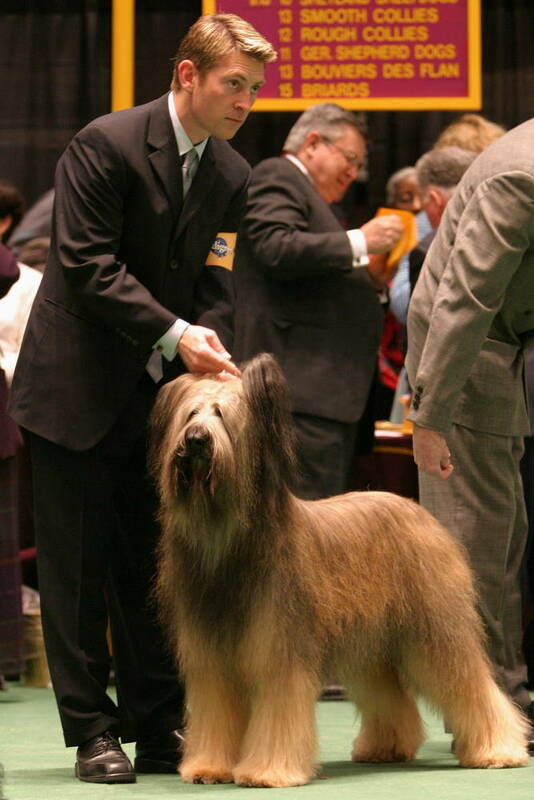 The same standards used in the French club were later adopted by the Briard Club of America in 1928. 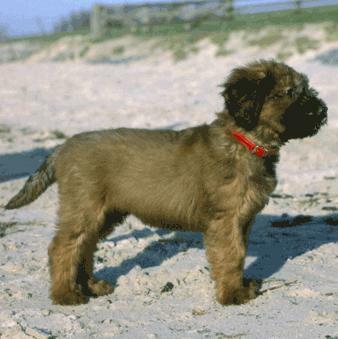 Its still uncertain who should be credited with bringing the first Briard to the United States. Some credit the Marquis de Lafayette, and others credit Thomas Jefferson. 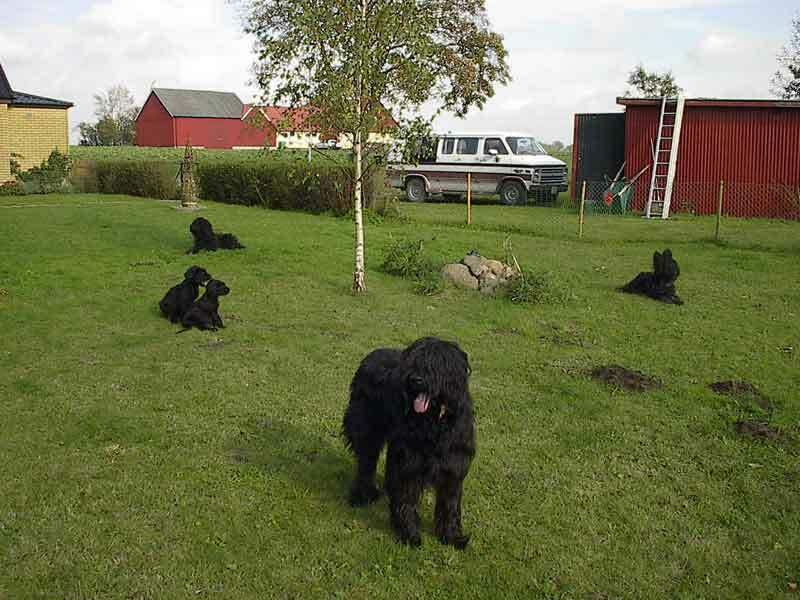 One thing is certain: the registration of the first litter of Briard puppies. 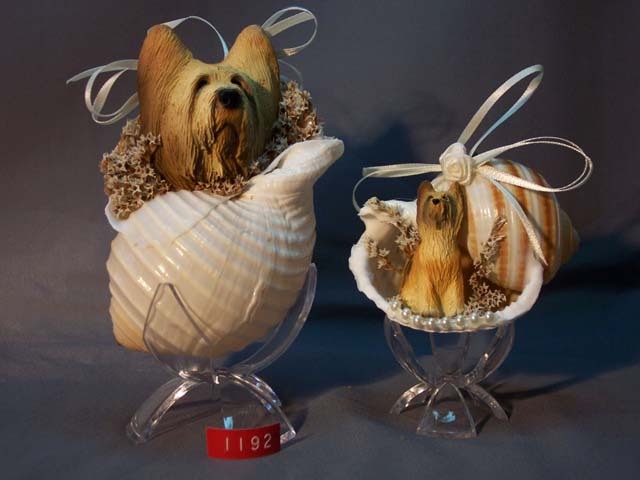 In 1922, Barbara Danielson secured that honor, a full six years ahead of the breed being recognized by the American Kennel Club. 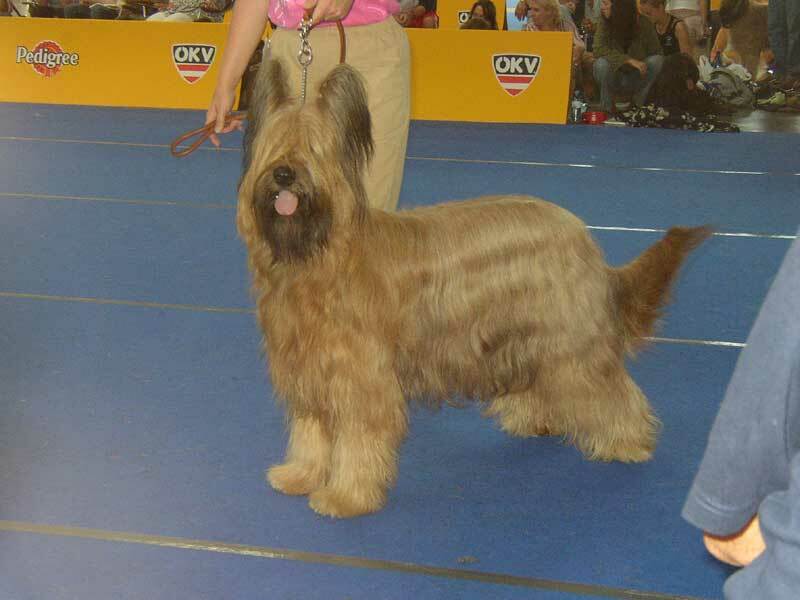 Today, the Briard is still a popular breed in France and enjoys a few adoring fans in the United States.